Goj: A railroad tugboat, previously commissioned for ferrying car-floats. Since the decline in the usage of car-floats, she has been towing barges. 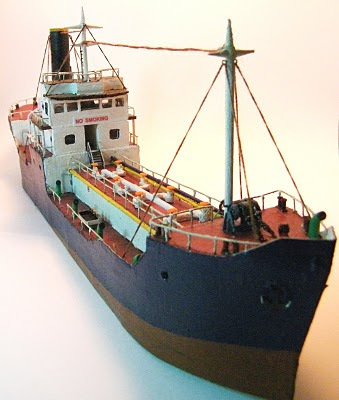 Severus: A small cargo ship, about 30 m. Based on a prototype built in the mid 1950s, special attention was given to model the hatch and the derrick. 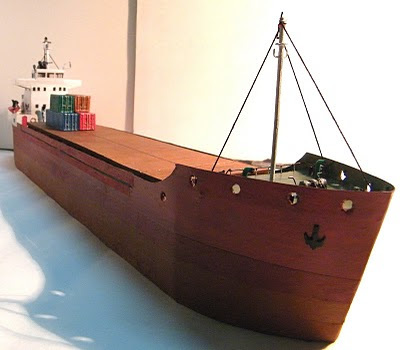 Betelgeuse: A container ship. our very own red giant, and the largest vessel in our fleet. 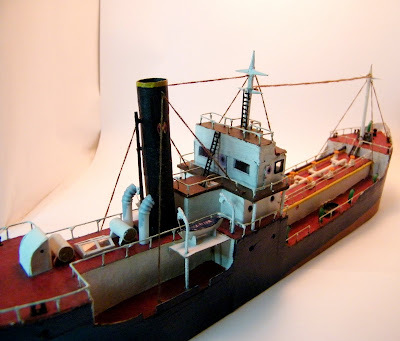 Betelgeuse is an old cargo ship recently remodeled to serve as a container ship to support the growing demand of modern age inter-modal transportation. 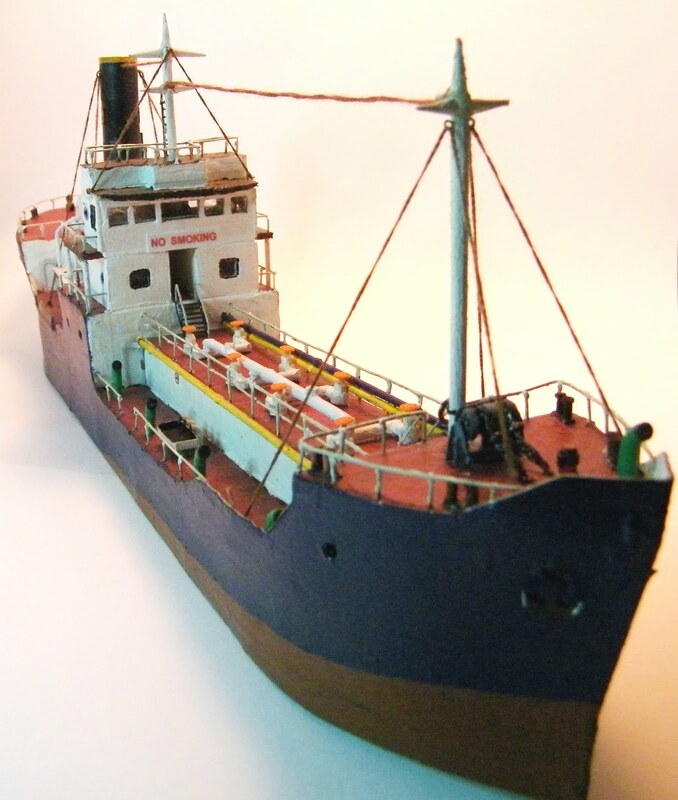 All these models are scratch built using cardboard, electric wires, toothpicks drinking straws and like. 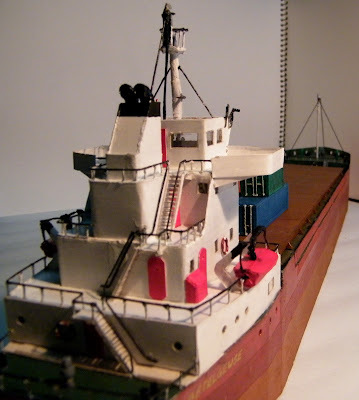 The detailed construction histories can be found in All model Railroading forum. Coming up: A lot of boats and barges. may I ask, what are the materials that you used to make the container ship? I really need to know in order for making one of that for my assignment.